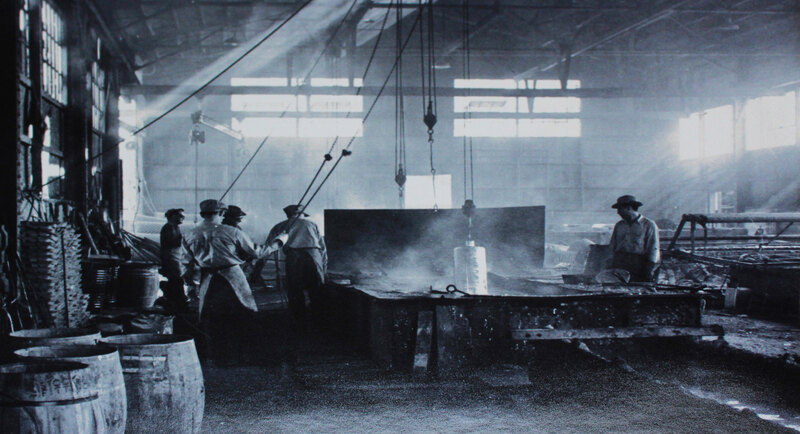 The oldest and longest tenured hot-dip galvanizing plant in the Western United States..For more than three-quarters of a century we have serviced the local steel fabrication industry with quality workmanship and unparalleled customer service. From a place and time when material handling involved rope block pulley hoists and a cherry picker, we have evolved into a larger, more efficient facility. Our 5-ton monorail crane system has been a major upgrade, and coupled with our larger kettle that came on line in 1998, we now galvanize more steel than at anytime in our history. 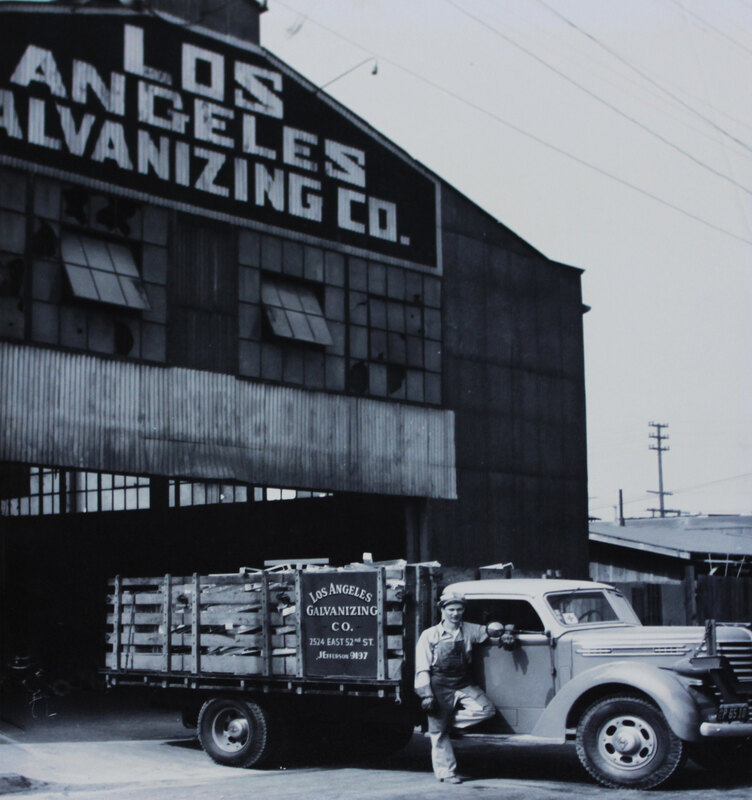 At the height of a bustling steel fabrication era in the 1950’s and 1960’s, as many as 10 separate hot dip galvanizing plants peppered the Los Angeles basin. Over the decades, the number of plants has dwindled to just three, and the names behind our success have changed. Jim Rosenkranz, who in 1960 started as a general laborer and steel cleaner, purchased the company in the 1980’s and became the architect of the current infrastructure. Edward Thompson buys the company out of bankruptcy and guides the business through the Great Depression and beyond. Ted Forsyte, Walt Newton and Bob Burton form the nucleus of plant operations for more than 2 decades, during which time the company works on projects such as the 710 Long Beach Freeway, The Los Angeles Zoo and the Haynes Steam Plant. The company starts using a 30′ kettle. And Jim Rosenkranz begins work as a general laborer in what is the beginning of a 5-day decade association with Los Angels Galvanizing. In an effort to be at the forefront of environmental consciousness, the company installs a baghouse – one of the first such installations in the industry. Jim Rosenkranz and Bill Brunner purchase the company from the Thompson Estate as a new era of ownership marches on. All three sons – Lance, Tim and Jamie Rosenkranz – become fully entrenched in carrying on the family business. In 1998, a larger, 5′ wide by 8’6 deep kettle is installed, greatly increasing capacity.